Lucy Fraser’s The Pleasures of Metamorphosis: Japanese and English Fairy Tale Transformations of "The Little Mermaid" explores Japanese and English transformations of Hans Christian Andersen’s 1837 Danish fairy tale "The Little Mermaid" by focusing on pleasure as a means to analyze the huge variety of texts that transform a canonical fairy tale such as Andersen’s. Fraser examines over twenty Japanese and English transformations, including literary texts, illustrated books, films, and television series. This monograph also draws upon criticism in both Japanese and English, meeting a need in Western fairy-tale studies for more culturally diverse perspectives. Fraser provides a model for critical cross-cultural fairy tale analysis in her examination of the journey of a single fairy tale across two languages. The book begins with the various approaches to reading and writing fairy tales, with a history of "The Little Mermaid" in Japanese and English culture. Disney’s The Little Mermaid and Studio Ghibli’s Ponyo on the Cliff by the Sea are discussed as examples that simulate pleasurable physical experiences through animation’s tools of music and voice, and visual effects of movement and metamorphosis. Fraser then explores the literary effects of the fairy tale by male authors, such as Oscar Wilde, Tanizaki Jun’ichiro, and Abe Kobo, who invoke familiar fairy-tale conventions and delineate some of the pleasures of what can be painful enchantment with a mermaid or with the fairy tale itself. The author examines the portrayals of the mermaid in three short stories by Matsumoto Yuko, Kurahashi Yumiko, and Ogawa Yoko, engaging with familiar fairy tales, reference to fairy-tale research, and reflections on the immersive experience of reading. Women characters and authors are also hyperaware of the possible meanings of Andersen’s "The Little Mermaid" and of the fairy tale itself, furthering the discussion with Nonaka Hiiragi’s novel Ningyo-hime no kutsu, and D[di? ]’s novel Sento no ningyo-hime to majo no mori, as well as an episode of the science fiction television series Dark Angel. Fraser concludes that the "pleasure" framework is useful for a cross-cultural study of creative engagements with and transformations of a particular fairy tale. 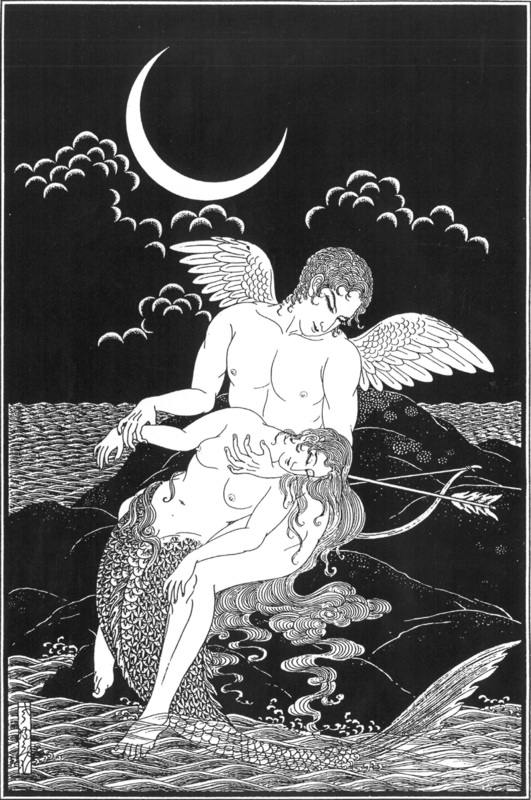 Few studies have examined Japanese fairy-tale transformations to the extent that Fraser has, presenting fascinating information that will intrigue fairy-tale scholars and those wanting to learn more about the representation of pleasure behind the imaginative and fantastical. Lucy Fraser is a lecturer in Japanese at the University of Queensland, Australia. Her research on Japanese and English retellings of fairy tales in literature and popular culture has appeared in Marvels and Tales: Journal of Fairy-Tale Studies, Japan Forum, and Global Manga Studies. She has also published translations of literature by leading writers such as Kawakami Hiromi and Hoshino Tomoyuki and of literary criticism by academics such as Honda Masuko and Kan Satoko. Lucy Fraser’s study of the afterlife of Andersen’s ‘The Little Mermaid’ has an unexpected poetic range and play, taking us under the sea and immersing us in the wonders and perils of fairy-tale worlds, old and new. Fraser’s manuscript elegantly unravels the complex images of gender presented in the transcultural and translinguistic transformations of Hans Christian Andersen’s ‘The Little Mermaid.’ A significant strength of this book is that it brings together fairy-tale texts across cultures in a well-framed and mutually illuminating way. This cross-cultural approach is much needed for a culturally sensitive analysis of the production and consumption of fairy-tale texts in a global context. Lucy Fraser indulges readers in a sumptuous exploration of stories that cross different time periods, languages, and national borders. Readers will come away with a keener understanding of not only Japanese literature and culture but also of the magical, transformative value of fairy tales themselves. Fraser’s writing style is detailed and specific, and she favors a system of presenting an idea and then illustrating this idea with lengthy examples. Often her detail-orientated perspective creates page-long discussions concerning minor details of a story. These extended explorations add strength to her argument that the pleasure of reading fairy tales lies in their transformations...Overall, I enjoyed reading Fraser’s informative study of the movement of fairy tales across national and cultural borders. By incorporating an interdisciplinary viewpoint, she is able to depict multiple perspectives on the transformative use of Anderson’s classic story as a means of understanding both society and individuals. As Fraser argues, we are all mermaids waiting for our metamorphosis, and the pleasure we find in mermaid stories exists in the potential for transformation. 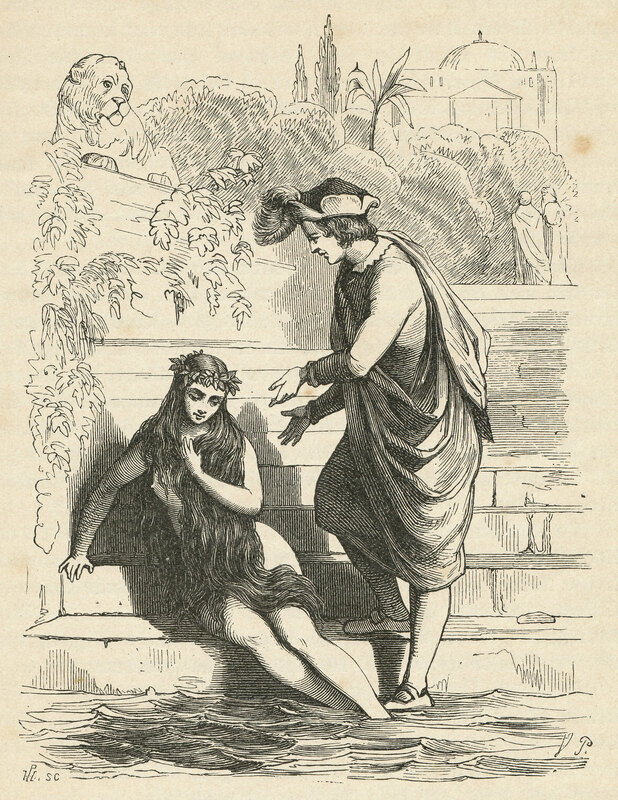 Fraser’s cross-cultural examination of many of the textual transformations of Andersen’s "The Little Mermaid," her theoretical focus on pleasure as applied to fairy tale texts, her expansive arguments on the influence of tales upon girls, and her application of shojo studies to close readings of fairy tale texts, all combine to make The Pleasures of Metamorphosis a highly worthwhile addition to several ongoing conversations in fairy tale and cultural studies.